Yes this fish looks fancy, it is also so delicious! Don’t let the long directions steer you away from this fabulous fish! It is so light and refreshing and I bet it would be even better if you grilled the fish! Whisk together the juice, 1/4 cup vinegar, 1/4 cup olive oil, honey, and salt and pepper to taste. Add the onions and jalapeno, toss to coat and let sit at room temperature while you bake the fish. Preheat the oven to 350. Sprinkle each side of the fish with salt, pepper, paprika, and a drizzle of olive oil. Bake until cooked through (about 20 minutes). Put the avocado and mango in a large bowl. Add the remaining 2 tablespoons olive oil, the remaining1 tablespoon red wine vinegar, the parsley, chives, and salt and pepper and toss gently to combine. When the fish is done cooking, coat the fish in the pan with most of the onion and jalapeño mixture and let it marinade for 5 minutes. Save a little to add onto the plate before serving. 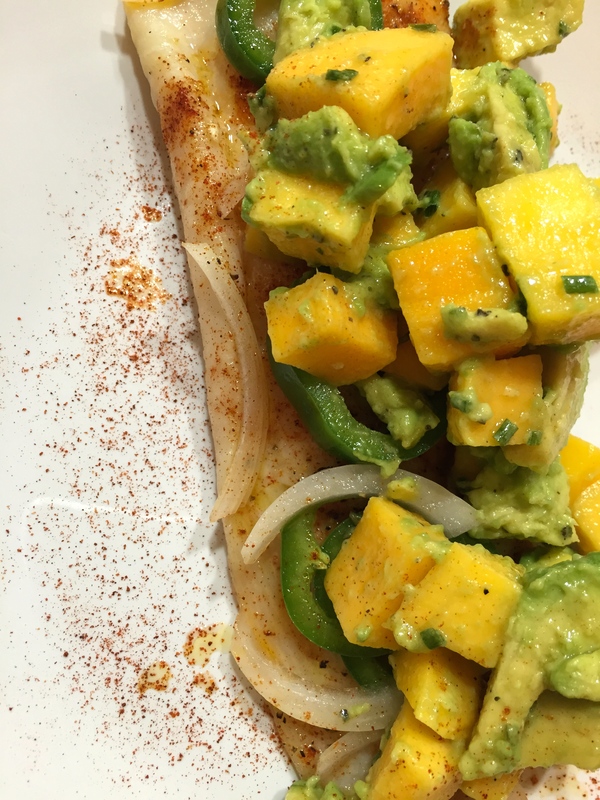 To assemble, add the fish to the plate, add some onion and jalapeño mixture on top of the fish, and finish with a scoop of avocado and mango salsa. If there is any juice left to the onion and jalapeño mixture, drizzle that on top as well. I love mustard. 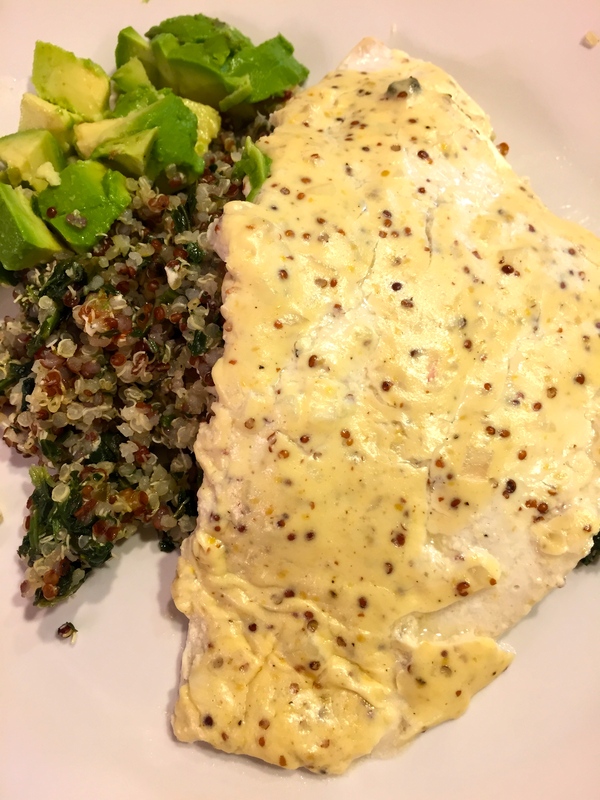 And I love finding new fish recipes to try, because with our busy schedule we need a quick and healthy dinner. 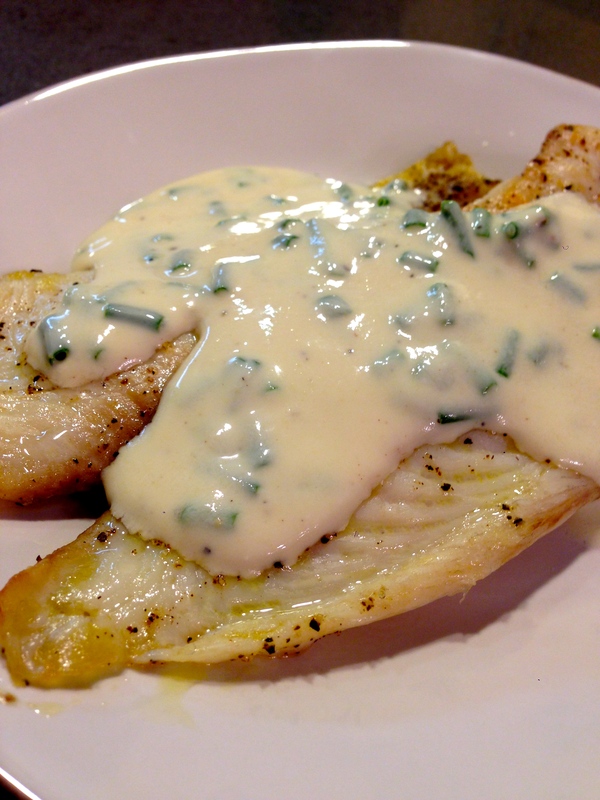 So when I found this mustard roasted fish, I was more than in! It is as good as it looks too! And as any fish recipe, super easy! 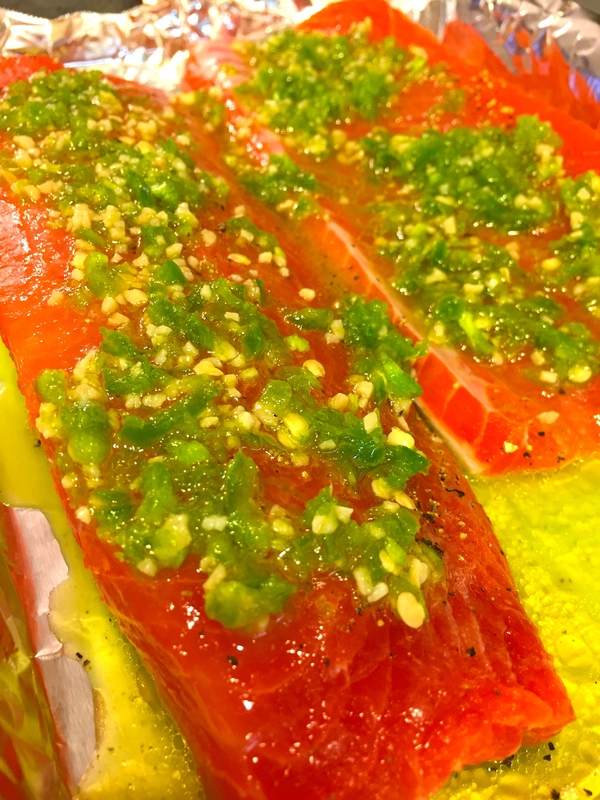 Line a sheet pan with parchment paper (or aluminum foil.) (You can also use an ovenproof baking dish.) Place the fish fillets skin side down on the sheet pan. Sprinkle generously with salt and pepper. Combine the crème fraîche, two mustards, shallots, capers, 1 teaspoon salt, and 1/2 teaspoon pepper in a small bowl. Spoon the sauce evenly over the fish fillets, making sure the fish is completely covered. Bake for 10 to 15 minutes, depending on the thickness of the fish, until it’s barely done. (The fish will flake easily at the thickest part when it’s done.) Be sure not to overcook it! Serve hot or at room temperature with the sauce from the pan spooned over the top. My favorite new appetizer!! I love having crab in the summer, there is just something so light but meaty about it! Mixing the crab with the lemon aioli definitely makes this app what it is! For the toasts: Place an oven rack in the center of the oven. Preheat the oven to 375 degrees F. Arrange the bread slices in a single layer on a heavy baking sheet. Drizzle both sides of the bread with the oil. Season with salt and bake until light golden, about 10 minutes. Cool for 1 minute, and then rub the toasts with the cut side of the garlic. For the crab: In a small bowl, gently combine the crab, lemon juice, chives, and salt. For the aioli: In a small bowl, combine the mayonnaise, yogurt, lemon zest, salt, and cayenne pepper. 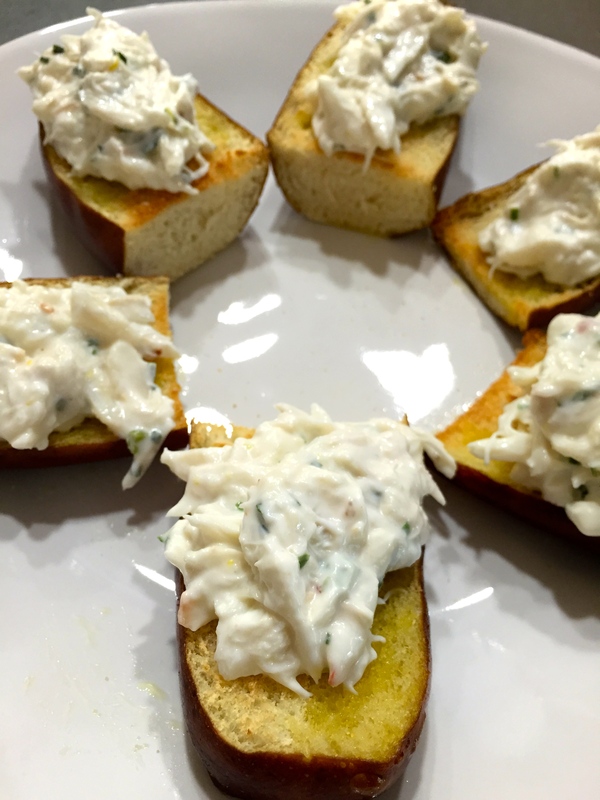 Mix the crabmeat with the aioli mixture and place on top of the toasts. 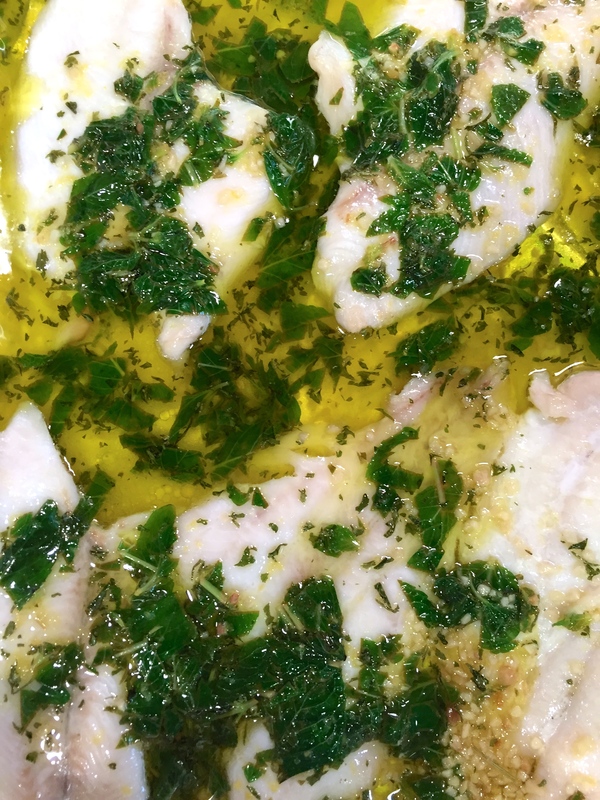 If you want a fresh fish recipe, this is as easy as it comes. 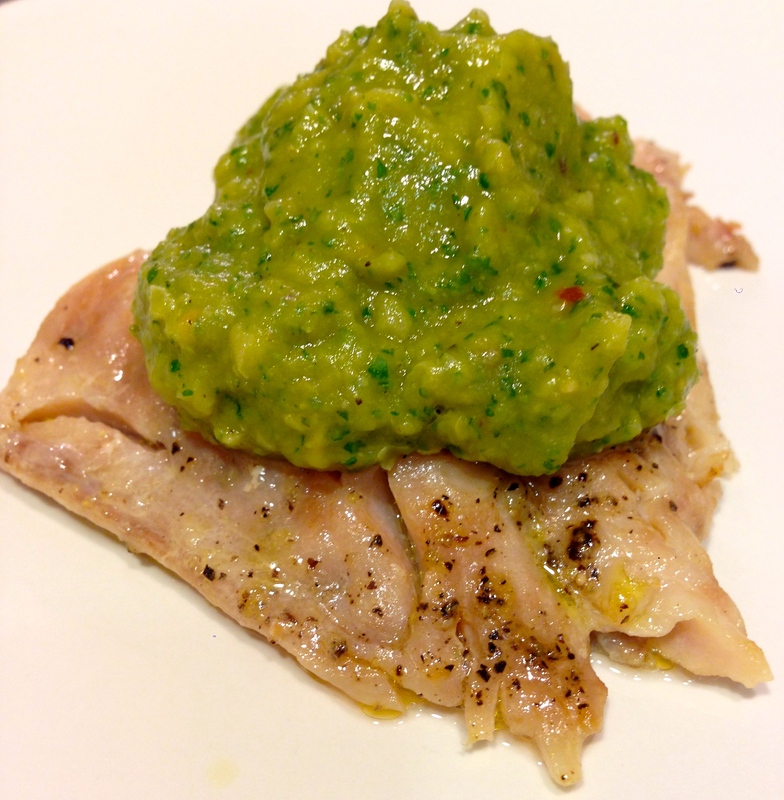 This salsa verde and dry rub takes this fish to the next level of freshness. 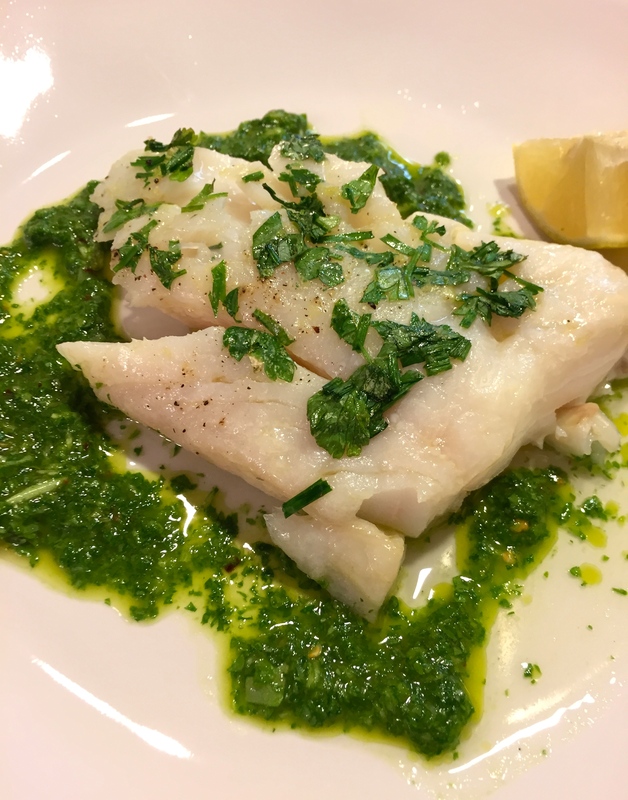 I couldn’t find Halibut in my local grocery store, so I used Rockfish instead. Really, any meaty whitefish will do. *Since I made this the same night as I was planning on eating it, I didn’t use the recommended prep and stand at room temp times. I am sure if you let the flavors develop for longer periods of time it will be better, but this dish was just as tasty without it! This is a great easy fish to make for a weeknight meal. It takes only about 15 minutes to prep and cook. The sauce is by far the star of this dish, it would also be great on chicken! For the fish: Preheat a broiler. Spray a small baking sheet or glass baking dish with cooking spray. Set aside. This 20 minute dish is full of flavor and won’t break the bank with the minimal ingredients. Don’t let the fava beans get you, because this puree has mint and lemon juice to cut that “bean” flavor. It is a great and healthy dish you will want to make over and over again! In a medium saucepan, bring the stock to a boil over medium-high heat. Add the beans. Reduce the heat to low, and simmer until the beans are tender, about 5 to 8 minutes*. Drain the beans and reserve 1 cup of stock. Place the drained beans and reserved stock in a blender or food processor. Add the mint and lemon juice, and blend until smooth. Season with salt and pepper, to taste. In a large skillet, heat enough oil to fill the pan 1/4-inch deep, over medium-high heat. Season the fish with salt and pepper on both sides. Cook for 3 to 4 minutes each side until brown and the center is just opaque. Divide the fava bean puree between 4 serving plates. Place a filet of red snapper on top of the puree. Serve immediately. *TIP-To save time, buy fava beans already cooked and shelled. Then simply microwave and put straight into the blender. Then use 1 cup of chicken stock in place of reserving the fava bean stock. One of my favorite home-made sandwiches so far! I made it on a weekend for lunch and it was so delish and really easy to make. 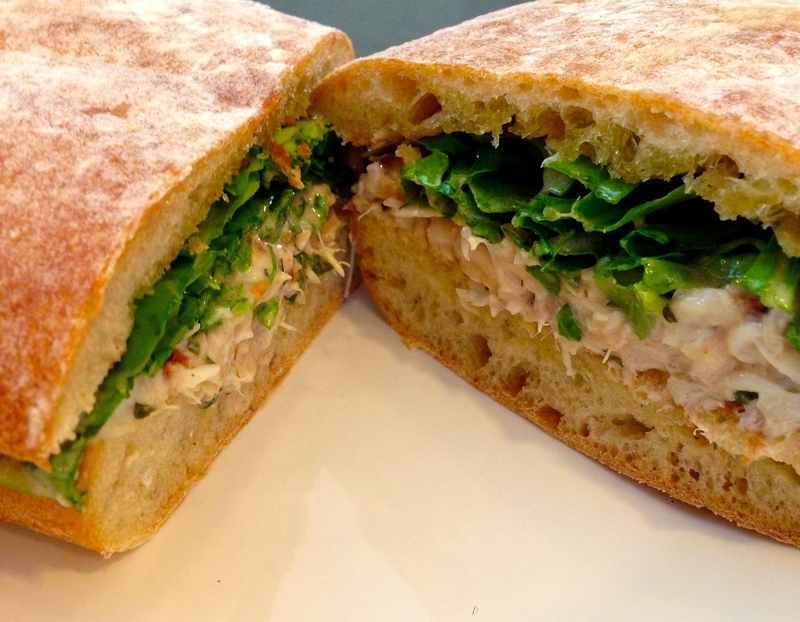 It is basically an up-scale tuna salad sandwich! 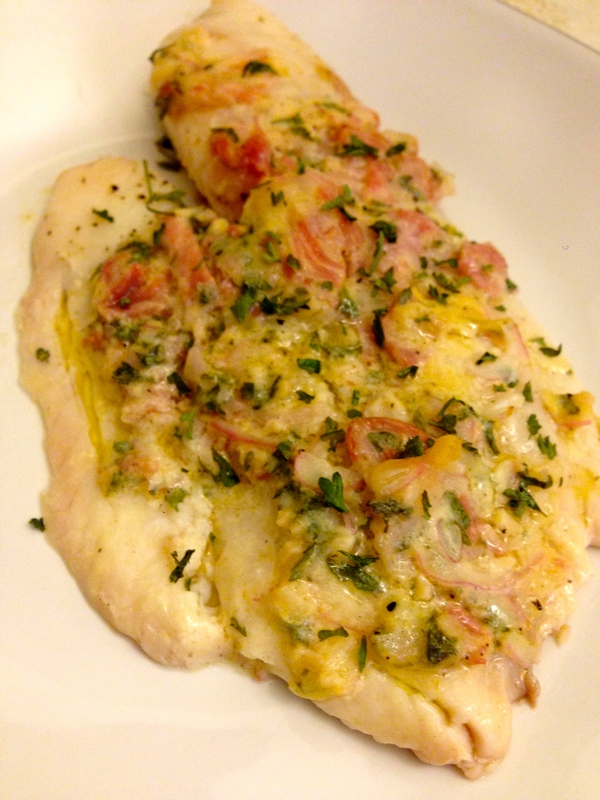 This recipe calls for halibut, but my local grocery store didn’t have halibut so I used Sole. I bet lump crab, or lobster would be another great substitute. It will pack great for my future summer picnics! For the fish: Place an oven rack in the center of the oven. Preheat the oven to 450 degrees F. Spray a small baking sheet or glass baking dish with oil or cooking spray. Set aside. For the bread: Preheat a grill pan or a large nonstick skillet over medium-high heat. Remove some of the dough from the top half of the bread with a spoon. Brush the cut-sides of the bread with olive oil. Grill the bread until golden, 1 to 2 minutes, and rub the cooked surface with the cut side of the garlic if you didn’t use garlic infused olive oil. For the filling: In a medium bowl, combine the mayonnaise, sun-dried tomatoes, basil, parsley, capers, lemon zest, lemon juice, salt, and pepper.